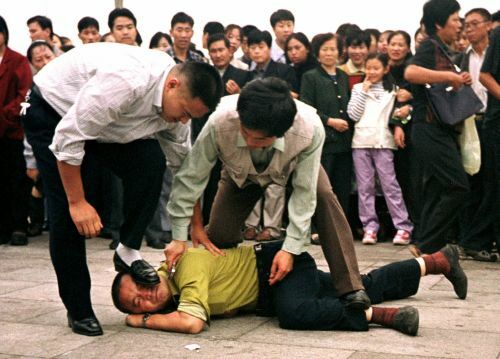 In an internal document reportedly issued by the General Office of the Chinese Communist Party, the regime has admitted to some instances of abuse in its 17-year persecution of the Falun Gong spiritual practice. But aside from a nuanced admission of the wrongdoing, the document does not propose any meaningful changes to Party policy—as in the past, “redress” is still to be based on whether or not a practitioner can give up his or her belief in Falun Gong. According to the Minghui source, the document was handed out during an Aug. 30 meeting convened by the municipal Political and Legal Affairs Committee of an unnamed city. 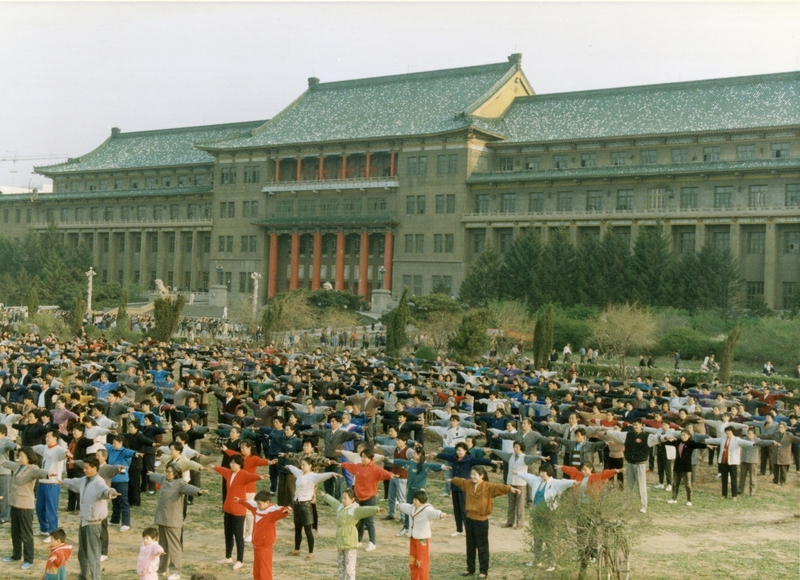 All workplaces that employed those practicing Falun Gong were required to send their representatives. Examples of “unjust treatment” at the hands of the authorities given in the document included the practitioners and their family being barred from serving in the armed forces, receiving work promotions, or having their education disrupted. Greater abuses—heavy labor in prison camps, torture, death, and forced organ harvesting in military hospitals across China—received no mention. 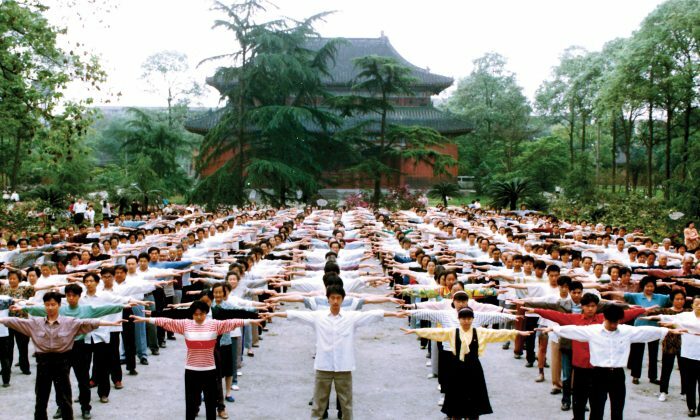 Falun Gong is a Chinese spiritual practice that teaches truthfulness, compassion, and tolerance, and has a set of meditative qigong exercises. In July 1999 Jiang Zemin, then the head of the Communist Party, led the regime in a nationwide suppression of the faith and its adherents. But instead of quickly disintegrating, Falun Gong practitioners in and outside mainland China have kept up a campaign of civil disobedience. Falun Gong has also outlasted Jiang’s personal influence in Party politics, which has been dealt severe blows in the current administration’s moves to consolidate power for themselves. Chinese-language Epoch Times political columnist Xia Xiaoqiang believes that the document’s acknowledgement of “unfair treatment” against Falun Gong practitioners is a jab at a spoken policy Jiang delivered to a meeting of 3,000 officials in Beijing shortly after beginning the persecution. “Ruin their reputations, bankrupt them financially, and destroy them physically,” Jiang ordered. This statement was relayed to those present at the meeting by a senior official, said Li Baigen, then a Beijing urban planning official, in conversation with Minghui staff. The official also noted that the conditions of the “redress” were functionally meaningless. “The pressure on them will not be lessened if they refuse … to renounce Falun Gong,” he said. 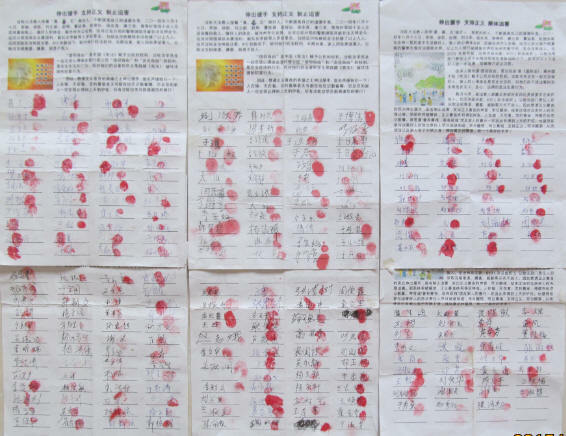 For Falun Gong practitioners jailed in China, the condition for release has typically been to sign a “repentance document” in which they denounce their faith. Tacit recognition by the authorities that Falun Gong has been unjustly persecuted may not be new. Since 2013, when Chinese leader Xi Jinping assumed power, Minghui has reported many instances of practitioners receiving more lenient consequences for spreading Falun Gong materials, doing the exercises in public, or even filing criminal cases against Jiang to the national judiciary. And in Xi’s much-publicized anti-corruption campaign, several of Jiang’s closest allies have been removed from critical positions in the Party, military, and state-run industries, effectively hamstringing Jiang’s unofficial locus of power. However, no official change has been made in the regime’s position on Falun Gong—that of a political and ideological foe. At the same time, both Xia Xiaoqiang and the Minghui report agree that the Communist Party has a history of obliquely rehabilitating and manipulating former victims of its political campaigns without correcting the power structure and ideology that lead to the injustice in the first place. “The only way for the current authorities … to extricate themselves is to immediately stop the agencies persecuting Falun Gong, publicize the crimes against humanity perpetrated by Jiang’s faction, and publicly arrest him as arch-villain in the persecution of Falun Gong,” Xia wrote.